UIST 2016 was held from October 16th to 19th. in Tokyo, Japan. 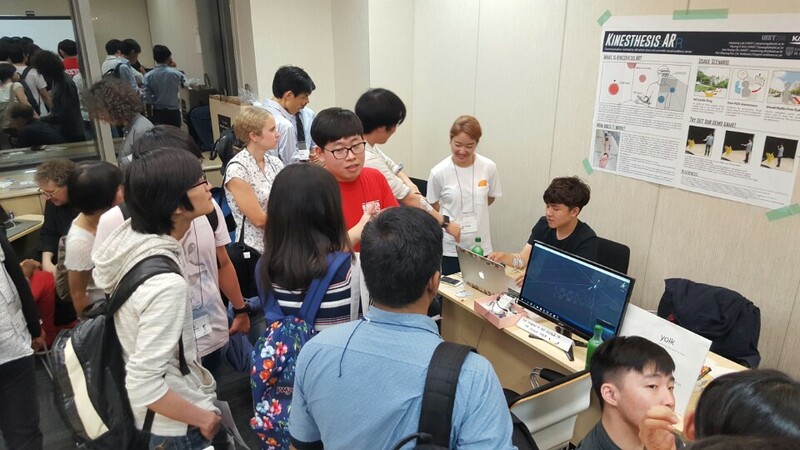 Hyung-Il Kim and Juyoung Lee participated in Student Innovation Contest. 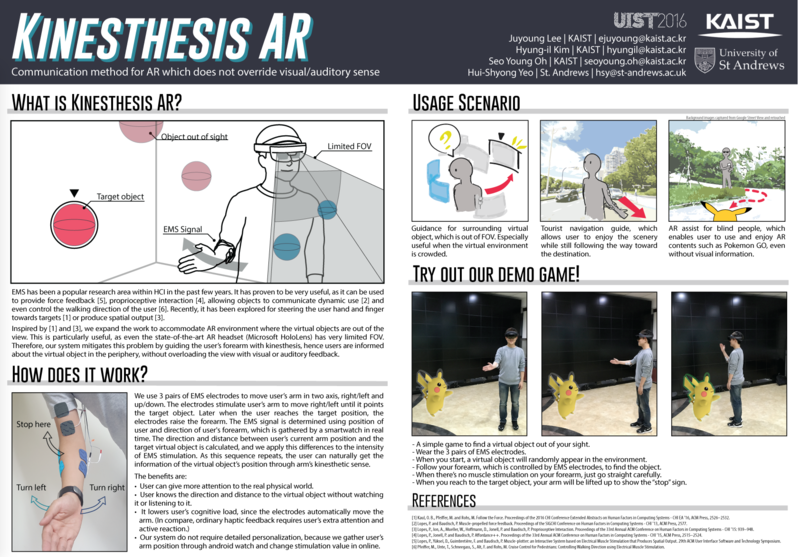 They gave a demonstration of project 'Kinethesis AR'.